As Santa Claus prepares for the Christmas ahead in his official hometown Rovaniemi on the Arctic Circle in Lapland, Finland, he started thinking about all the Chinese people that have visited him recently: how could he better reach them and all their friends in China? Luckily, one of his savvy elves is up to date with social networking, and recommended Santa join Weibo, China’s most popular social medium. Weibo and Santa Claus were a perfect match, and they quickly decided to work together for the common good. As a result, Santa Claus has now officially joined the Weibo community! The world’s most famous person’s verified Weibo account, 圣诞老人 Santa Claus, will be launched on Thursday September 22nd, and Santa Claus is eager to get in contact with all his friends in China. – Ni hao! I’m so happy I finally have a terrific way of reaching all my Chinese friends. I have many wonderful things to share with you from my hometown Rovaniemi in Lapland, Finland, says Santa Claus. Through his Weibo account, Santa plans to share special moments of his life at the Arctic Circle, where he receives visitors every single day of the year. Besides everyday chores, the changing seasons and phenomena like the Northern Lights and the Midnight Sun make sure Santa Claus always has some interesting posts from Rovaniemi for his followers. 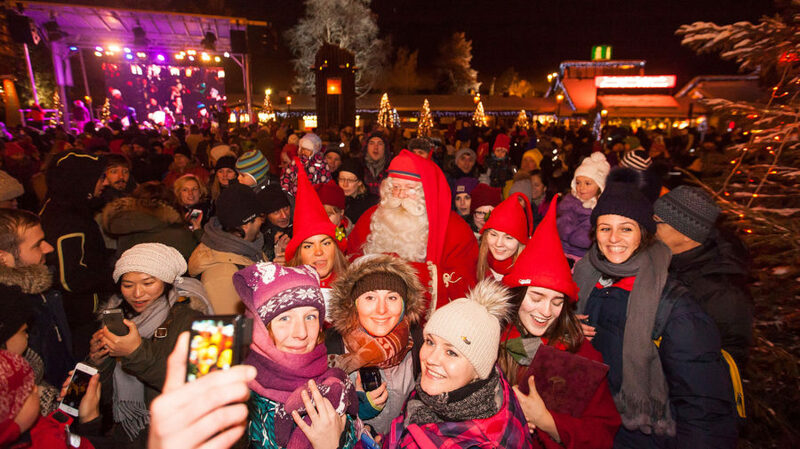 Rovaniemi, the Official Hometown of Santa Claus, is thrilled to have its premier resident reach a whole new audience across the globe and hope many of Santa’s Chinese friends have the chance of meeting him in person one day. – Meeting Santa Claus is a once in a lifetime experience for many, and Rovaniemi is thrilled to offer the opportunity to Chinese travellers looking for a unique holiday in Lapland, says Mayor Esko Lotvonen.